An unidentified flying object’s cloaking shield is one of its best assets since it allows the craft’s occupants to remain undetected while performing their obscure activities on Earth. Visible light can be considered an oscillating electric and magnetic field and because the cloaking shield works on a visible level, it must operate on some kind of electromagnetic principle we’ve yet to discover. You know what else is electromagnetic? The immense power surge caused by a lightning strike. So it makes sense that when a camouflaged UFO is hit by the thousand or so Giga Watts discharged by a lightning bolt, some interference may occur. In the following video we are treated to the rare sight of such a phenomenon. 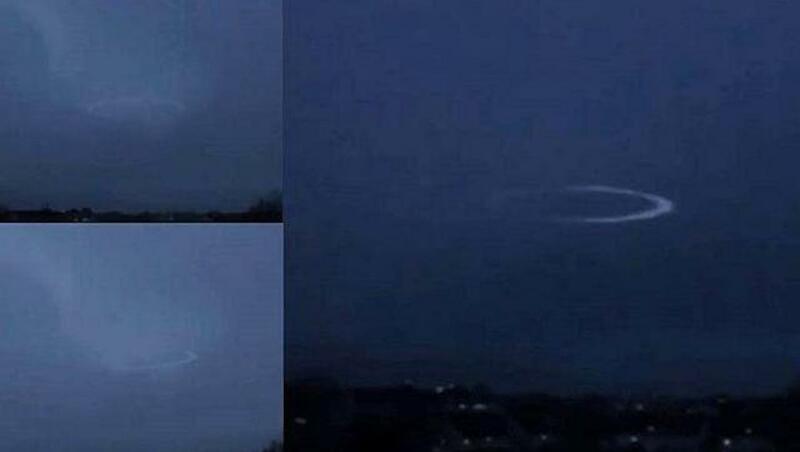 During a recent thunderstorm in the U.S., a large, circular UFO became visible after coming in contact with the immense voltage of an electrical discharge between clouds. It is unclear whether the craft was accidentally hit or it was there exactly for that reason. Perhaps these advanced vehicles are able to harvest energy from a variety of sources, including, but not limited to volcanoes, lightning and solar wind. After lightning touches its surface, the UFO becomes visible for approximately 30 seconds during which it remains lit and illuminates the sky and clouds surrounding its massive body. Once the UFO disappears, the surrounding area returns to its normal luminosity. Although videos like this are rare, they are not unheard of. In a previous article, we showed you a fleet of UFOs recharging their batteries during a thunderstorm. Another video that quickly went viral featured a creepy UFO exiting a lightning storm at a high velocity. It’s obvious that aliens always need two things: human specimens and a whole lot of power.